So now, I’ve missed a couple of days of photographs. On one of these, none of the pictures turned out very well at all; on the other, I learned that fatigue helps neglect pile up. So today I offer up a couple of recent photos of local winged denizens—not strictly from today, mind you, but this past week. Some of the many gulls by the river let you get up quite close. They are not exactly afraid of human beings; they might strip you of lunch, really. This one was just standing on the wall at the river’s edge near the old medieval bridge, not doing much but keeping watch, one eye on the river and another on the people who happened by. There are usually so many birds on the Dee just south of the city centre, of several different species—at different times, I have seen swans, black-headed gulls, herring gulls, great black-backed gulls, cormorants, moorhens, mallards, teals, pigeons, swallows, and more grey herons in one place than I have ever seen before—that the idea popped into my head fairly early in my time at Chester of thinking of the place as a City of Birds. What would the story of such a place have to say to the world? 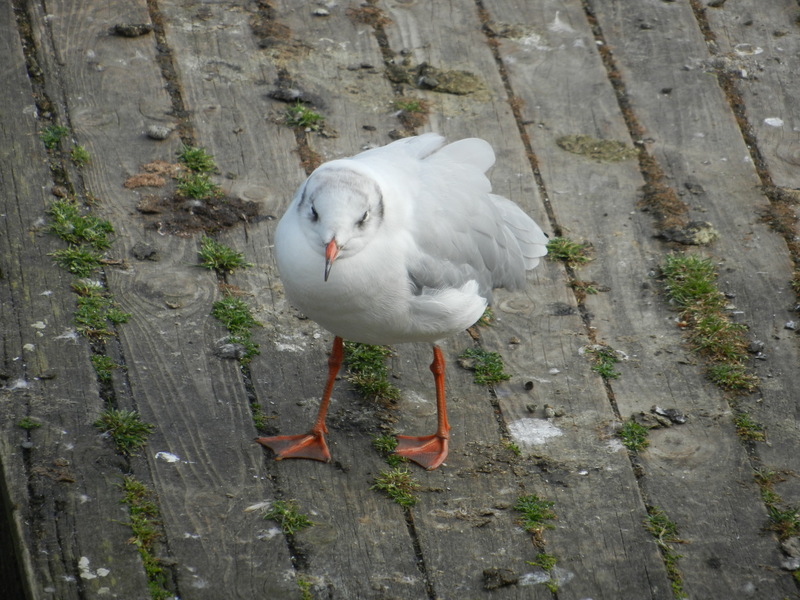 This gull was all puffed up to keep another gull away from the dock. 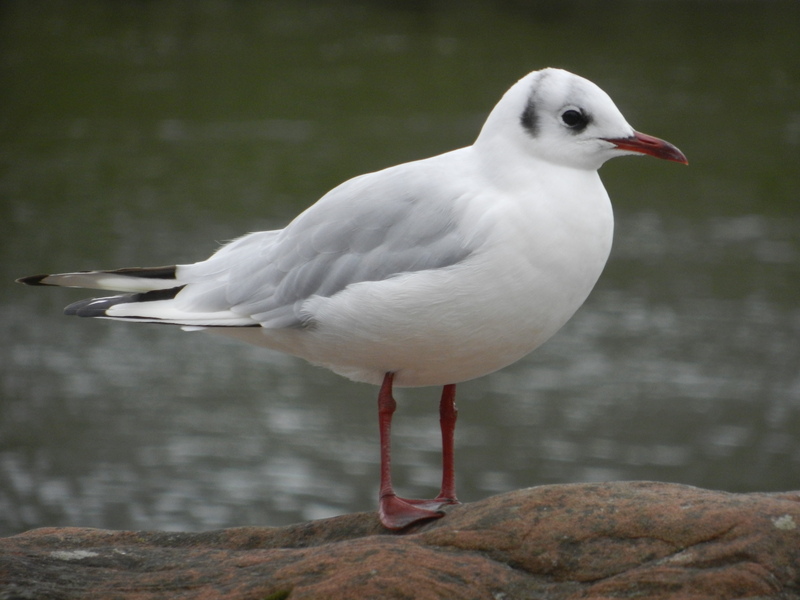 Not that I understand the social life and hierarchies of black-headed gulls. There were already several other gulls on the dock; what would one more hurt? But when a swimming gull moved towards the bit of wood, this one decided to show who was boss. The swimmer swam away. The City of Birds, indeed.